Jesse Williams is responding to backlash over his "Till" film campaign. "Grey's Anatomy" actor Jesse Williams responded to massive backlash for a meme he created to promote his upcoming directorial debut for "Till." 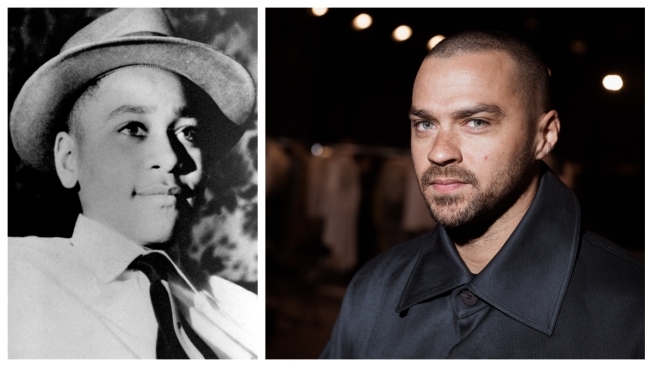 The film will capture the aftermath of the horrific lynching of 14-year-old Emmett Till in 1955 in Mississippi after the black teen allegedly flirted with a white woman. Till's murder has long been credited with being one of the leading catalysts of the Civil Rights Movement. But Williams' decision to create a meme under the hashtag #TiLLtheMovie depicting Till's mother Mamie Till-Mobley crying over the casket of her dead son with a Nike slogan "Believe in something. Even if it means sacrificing everything" was widely derided. and yes, i was one of the people offended by the original post. to take the image of emmett till's grieving mother mourning her murdered son and turn it into a meme modeled after a nike ad, as well as insinuating emmett’s death was a ✌🏿sacrifice✌🏿 is offensive. You’re insane. You turned the murder of Emmet Till into a Nike slogan to promote your movie. Can you read? His mom didnt sacrifice him. He was MURDERED. That was ignorant to put that over Mamie Till's picture. The Root's Monique Judge also wrote about the controversy, explaining: "Mamie Till-Mobley did not make the choice to have white racists murder her son. It wasn't a sacrifice, and to paint it as such for the sake of jumping on a current trend is both disgusting and disrespectful." In 2017, the woman who accused Till admitted she had lied during her testimony in Till's murderers trial. Responding to the backlash, Williams took to social media offering an explanation, acknowledging he had "offended and possibly hurt some of the very people I am to uplift." But Williams didn't apologize for campaign, instead saying the images "were designed to highlight the tremendous sacrifices Mamie made by sharing her unrelenting journey for justice, including boldly sharing those iconic images from her son's funeral, which changed the world." Production on "Till" is scheduled to begin next summer.